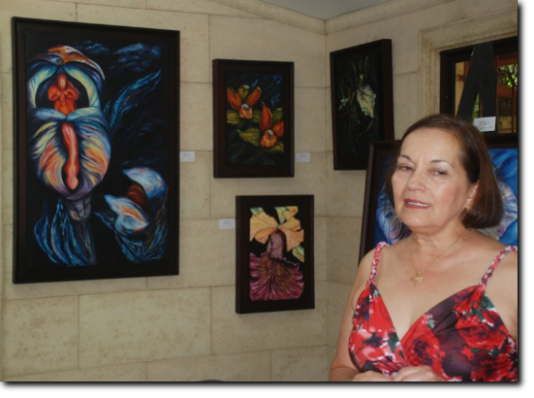 Frequent trips to the mountains searching for wild orchids inspires artist Rosemary McDermott in many of her paintings which depict the natural habitat of the flora indigenous to Costa Rica. 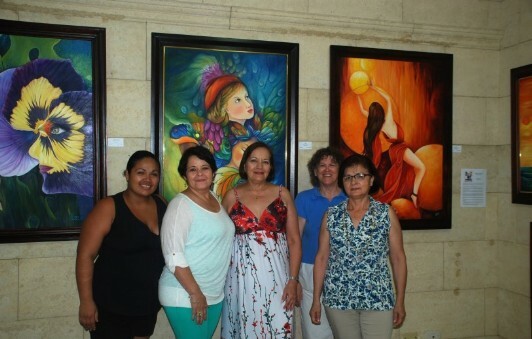 Born in Quepos, McDermott honed her artistic talents through the Museo de Arte Costarricense's program Escuela Casa del Artista where she received a degree in fine arts with a specialty in painting in 2011; and where she has been a professor of painting. "The ultimate power of nature and the exotic beauty that surrounds us, whether flowers, animals, or trees, is fascinating to me," she tells us. Knowing that these fragile flowers must remain their natural habitat in order to survive, her paintings show the viewers the orchids astounding colors, shapes, and sizes. These sometimes mythical flowers present an air of mystery, elegance, cadence and sensuality. Read about Rosemary in A.M. Costa Rica and in Ancora.